I am trying to form my thoughts about what criteria are reasonable when deciding on a benchmark research provider. My current thinking is below. I welcome your additions and corrections. According to the Merriam-Webster dictionary, a benchmark is ‘something that serves as a standard by which others may be measured or judged’. In the case of customer experience research, understanding your NPS, CSAT, ACSI metrics, trends, and reasons for those trends compared to those of your competitors would be a good example. The challenge lies in how to obtain numbers and other data, such as verbatim responses, for your competitors that are measured in the same way as the information for your own company. This is where the concept of double-blind benchmark research comes in. I don’t see how you could do it on your own, so using a third party seems inevitable. Why can’t I do my own research? It seems really unlikely that you could get an accurate contact list for your competitors’ customers. While you may have employees who used to work for your competitors, it is generally illegal for you to ask them for the competitors’ customer lists. Even if you had such a list, phoning or emailing them from your own address will necessarily bias the results. You need something totally neutral and unbiased. Here the three factors I feel are most important, based on years of using various companies for such research. All of this supposes that you cannot easily find benchmark studies that already cover your industry. For example, if you work for a large company selling to US consumers, the ACSI, Temkin Group, and others may already have what you need. The single most important factor is the quality of the contact lists for your competitors and for your own company. I feel you should prefer companies that recruit their own panels of respondents, rather than those who source them from third-party panel companies. The reason is quality control. You need to be able to interact directly with the company that recruits panel members. At one point in my work at HP, I noticed that some answers to verbatim questions were pure garbage. People just hit random keys. One even wrote ‘I am just doing this for the points’. There were also cases of NPS scores which were opposite to the sentiment expressed in the verbatim comments. The company with whom you contract has to be able to eliminate such panel members, without your intervention. A company that has already done this type of research, ideally in your industry. Industry experience helps vendors to correctly identify positions and people who are decision-makers, influencers, and simply end users of your products or services. Ability to do basic data processing and presentation decks without your intervention. Ideally, they should be able to identify surprises in the research results for you. Over the years I learned that if you have to do a lot of work just to understand your own results, you lose the ability or motivation to dig deeply into your competitors’ results. A vendor who can supply the data in a way that can be directly analyzed using Tableau (or similar software) and text analytics would be ideal. Since many companies choose to publish misleading NPS and other metrics, you and your competitors may actually be motivated to cooperate on a common benchmark methodology, and share the cost of hiring a company to do it for you. You could choose to make this into ‘open’ research, meaning you allow additional companies to join the effort and share the cost. This is ‘syndicated research’. Bain has started an NPS benchmark research certification program. Their certification criteria are not yet public. J.D. Power and ROI Consultancy Services were the first two companies to be certified. You can find a list of research vendors on this page. Note that they do not indicate which vendors have been certified, and that I have no commercial relationship with Bain or any of the research vendors. The three points above reflect the most important things I have learned over the years. Other factors may matter to you too, and I welcome learning about them. Benchmark research is the only type of research that should be able to accurately predict your revenue trends relative to your competitors. According to Bain and other research, competitive NPS trends explain 20 to 60% of market share trends, for example. Fred Reichheld and Rob Markey’s thoughts on the subject are here. Decent analysis of answers to open questions like ‘Why?’ and ‘What should we improve’ should guide your own efforts and give you competitive insights. Please let me know what you think below. Breaking news: Piotr Sadowski has just posted a Polish version of this article on LinkedIn here. And you can still find a slightly different version of the article in French that I posted two years ago, also on LinkedIn here. Many people will object to what I am about to write here. Not because of what I say about customer experience, but because of what I say about some common health misconceptions. Read on, but prepare to be offended. WIn the past, I have written about Herzberg’s theory of motivation, and about ‘hygiene factors’. These are things that you must do reasonably well for your customers, but where trying to ‘delight’ them is pointless. Doing basic problem solving in a telephone support center is a good example. Call center interactions have four times the probability of making a customer disloyal as loyal. The best call center interaction is none at all. I have come up with a new metaphor for all of this: the human body. There are things our body needs to avoid being unhealthy, and there are things that our body needs to be outstandingly healthy. There is not much overlap between the two. Our bodies are what is called homeostatic systems. A homeostatic system is one that is self regulating. You can think of it like a heating thermostat. You body wants to maintain certain levels of vitamins, minerals and antioxidants. If you add more than is needed to maintain this level, your body excretes the excess. So, for example, all the pseudoscientific advertising you see telling you that antioxidants are good for you so you should drink as much pomegranate juice as possble are simply false. Vitamins, antioxidants, and indeed many other things such as oxygen are ‘hygiene factors’. You have to have them to live, but having huge amounts does not make you healthier. Exercise is in a different category. Exercise is motivating and makes you healthier. Being part of a group improves your life, as does being admired for your work, sporting performance, artistic ability or simply some of your physical attributes. So it is with customer experience. Your customers’ homeostatic systems expect your credit card approval system to do its job, expect your people to answer the phone, expect your website to be responsive, and so on. Improving the credit card system so that approval takes half a second rather than a full second will bring you nothing. Remembering who your customers are and personalizing their experiences with you are in a completely different category. These are among the many ‘above and beyond the average’ things you can do to ensure customer loyalty. So, I am sorry if I have offended the one-third of my readers who believe that taking additional antioxidants or vitamins beyond the basic daily requirements improves their health. They are just demonstrably and scientifically wrong, in the same way that people who believe they should invest millions to improve call center operations that are already fine are scientifically, provably wrong. The only exception I can think of is call center businesses. Feel free to disagree below. I Last week I wrote an article on how the Net Promoter System is defined and documented. I posted it here and on the main LinkedIn feed. I got quite a few reactions. Let me reiterate two reasons I think having a standard is imporant, then add something about open systems like NPS. An NPS standard is important for many reasons. Two that particularly matter to me are software providers, and companies that compare themselves with other companies. If every company buying survey software has a different expectation for what an NPS feedback request should look like, software companies will have great difficulty satisfying their customers. If the Acme company says ‘Our NPS is 47’, but measures it in some way it has dreamed up on its own, NPS becomes discredited. OK, the same applies to all feedback systems. The Net Promoter System has been designed as an ‘open system’ that companies are free to implement without paying any fees to the rights holders. Linux is a similar open system. Android and Linux have a standard, reference, core distribution. Companies are free to add to them, creating attractive software such as the Ubuntu desktop version of Linux, and many others. None of this changes what the core Android and Linux standards are. The same applies to the Net Promoter System. It is defined the way I set out in the article in the blog post list below. Many people have added to it, creating their own ‘skinned’ versions of the system. Others have changed it, but still incorrectly call it NPS, and this is just wrong. Please have a read below if you have not already seen the article. Here are the latest posts. The one at the top of the list is the first in a series about types of teams you may want to implement if you are designing a new customer experience strategy for your company. The second item is the article I referred to above. Older posts are still available on the blog page. There are four types of teams you may want to implement to improve customer experience. I will cover the the membership and work of each in three blog posts. The mission of Customer Success teams is to ensure customer get the ROI they expect from their investments. Really nice infographic with interesting data on the ROI of various customer experience investments. You can even download it as a poster to put on your wall. Great stuff! Here. 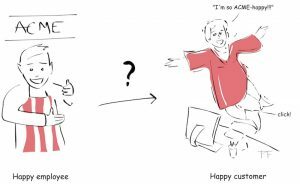 CustomerThink – Why Can’t We Get Customer Experience Right? Noreen Seebacher normally writes for Arke and contributed this article to the CustomerThink site on Sunday. Her main themes are: Technology isn’t everything; Put people first; Relationships drive customer experience. Well-worth the three or four minutes it will take you to read it here. As mentioned last week, I have been invited to be the chairperson for a January 30th public webinar with leaders from Manpower and Thematic software about AI and its importance for customer experience. It will start at 11 a.m. Pacific time, which is 8 p.m. Central European Time, for example. You can read a little about it and sign up for it here. It looks like January will be a new record month for our book sales. Thank you in advance for that. We have already reached a new record number of page reads in the Kindle Online Lending Library, which is free to Prime members. As always, the thing you can do that will help us most is to review them on Amazon, no matter what you think of them. Here are links to the books on Amazon.com. I have been trying to work out why most Net Promoter System implementation I see are missing even some basic things. I believe I have found a new way of thinking about the problem. Many countries have a constitution. The constitution is the fundamental law of a country, and sets out the principles by which a country should operate. The United States has a constitution, and it has been enhanced by a number of amendments over the years. Here in Switzerland, the constitution dates from 1848, and our direct democracy model means we have the opportunity to propose and vote on amendments every three months. I think of these constitutional models as ‘open systems’. They are public, are clearly documented, and can be improved over time. The Net Promoter System follows the same model. The current version of the NPS ‘constitution’ is The Ultimate Question 2.0 by Fred Reichheld and Rob Markey. The constitutional amendments are documented in a single location: the netpromotersystem.com website. The website includes a blog and podcasts that define the amendments to the NPS constitution. Any representation of a country’s laws that does not take amendments to the constitution into account is wrong. And any representation of the Net Promoter System that does not take the updates on the website into account is wrong. Before trying to draw some conclusions, I would like to make a distinction between the score and the system. Since Net Promoter is an open system, anyone can take whatever element they like and combine it with whatever they want. This is what almost all software vendors and consulting companies have done with the Net Promoter Score. While defining the score correctly, they combine it with open questions and improvement processes that are not the same as those documented in the Net Promoter System. Indeed, I feel confident when I say (without any proof other than my experience of answering about a hundred NPS-type feedback requests that I have received over the last two years) that 90% or more of all companies that use the score do not even use the correct survey questions, let alone the rest of the system. The same applies to vendors that supply NPS software. Unfortunately, the same applies to training. NICE Satmetrix is the only certified NPS training provider and I believe they currently only offer training in what they call NPS2. NPS2 is something different from the Net Promoter System as defined by its reference point. This is unfortunate, given they are joint holders of the NPS service marks, together with Bain and Fred Reichheld. Bain provides training that is individually customized to the needs of their implementation customers, but does not offer a standard course of any kind. Standardization beyond the recommendation question matters. At the very least, please use the correct open questions in your implementation. For overall brand and relationship research, the questions that should follow the scoring question are ‘Why?’ and ‘What could we do better?’. Close approximations to the second question are acceptable, such as ‘What should we improve?’. Being consistent on these will at least allow software vendors to provide better survey and text analytics software. If we can all be more consistent in how we implement the Net Promoter System, we will all find it much easier to communicate. It is already the system that is easiest to communicate. However, our apparent collective difficulty in keeping up to date with its ‘amendments’ make us less consistent than we should be. I do not know of any company that provides a training course that corresponds to the current version of the Net Promoter System. If you know of one, I will be happy to mention it here. In the meantime, please use The Ultimate Question 2.0 and the netpromotersystem.com websites as your reference points. And of course, recent books on implementing NPS according to this design should be useful too. Hmm… ah yes, I can think of one: our own Net Promoter – Implement the System. As always, feel free to agree or disagree below, or by sending me email at mfg@customerstrategy.net. If you work for a multinational company, you have probably seen all sorts of performance comparisons between countries. Gross margin differences by country may well be meaningful. Customer experience score comparisons are generally not. Or at least, they should be used with great caution. 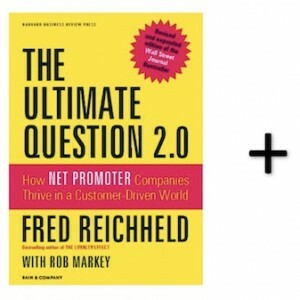 That is the main subject Rob Markey and I cover in the latest Net Promoter System podcast. We cover examples from a retail chain that is present in major cities, the IT hardware and software industries, and retail banking. Are the Japanese, Australians, Koreans and Dutch just a bunch of grumpy people, or is something else happening? We also cover some aspects of communicating data and recommendations across different companies and cultures. Personally, I found this part quite entertaining. The whole podcast lasts less than 20 minutes. Please let us know what you think. You can find it in iTunes, Stitcher or on the Bain website here. Someone I know had hip replacement surgery recently. It was her second hip replacement at the same hospital. When she left the hospital the first time, she was given a satisfaction survey. She was asked to rate various aspects of the care, from the way she was greeted at the reception desk onwards. I suppose you could call it typical customer journey research. Her first operation was about nine months ago. At no point since then did the hospital’s customer research people ask her (1) how functional her hip now is or (2) whether or not she was happy to have had the operation. From the customer / patient’s perspective, these are the outcomes that matter. The particular hospital is not an exception. Healthcare research seems to concentrate on giving scores to each department, rather than on patient outcomes. I have to say that I am not surprised by such ‘hospital-centricity’. Way back when I was doing my Industrial Engineering degree, one of my classmates had a sort of internship with the Accident and Emergency unit of the main hospital in Galway. I think this was in 1976. His mission was to improve the efficiency of the operation, and ideally to reduce patient waiting times. This was a typical IE project, involving Operations Research and queueing theory. All such models require a financial value to be put on the time of the various people involved. The problem that was hardest to solve was that the head of the service categorically refused to put a non-zero value on patients’ waiting time. Ever since then, lack of patient-centricity in hospitals has never been a surprise. Here are the latest posts. The three below are part of a series of seven I am planning on the main customer experience measurement and improvement systems. Older posts are still available on the blog page. It is important to position customer experience work as a growth initiative in addition to the more obvious problem-solving role. The best way I have seen of doing so for many businesses is to concentrate on renwal and upsell rates for existing customers. While the TSIA infographic in this blog post does not directly mention CX, it shows how to position it. After all, if your work is successful, renewal and upsell rates should improve. This may be easier to demonstrate in large companies where improvements may be implemented in one part of the business, but not another. I am planning to write about this subject in more detail soon. In the meantime, this TSIA blog post from 2015 should help. This short article by Bill Davis of Tata Consultancy Services caught my attention because of Bill’s focus on the disconnect between listening and acting on the feedback. See what you think here. The CEO announces the annual survey and how important it is, committing to drive improvements based on the research. The survey is open for two or three weeks, to ensure that people who are on vacation get a chance to respond. Particularly for large companies using external survey vendors, the analysis and benchmarking of the results takes time, often several months. Since most research uses large numbers of questions with rating scales, but no input on why the ratings were given, companies find out that particular things have bad ratings, but don’t know why. They then form focus groups of just a few people who decide why the particular rating was so low an what should be done about it. This takes time, and may not reflect the reasoning of the larger population. And of course, the fact that one of the 80 question son the list had a low rating does not make that question important. Reporting out on the results is sometimes delayed to avoid communication conflicts with quarterly financial resporting. The new Net Promoter for People is designed to address many of these concerns. It has been covered by Bain’s Darci Darnell in the latest Net Promoter System podcast. It adds an additional rating question the standard three-question NPS format. The new question is ‘To what extent do you agree with the following statement: I am inspired by my job.” The standard questions are the NPS ‘How likely are you to recommend [your company] as a place to workl?’, ‘Why?’ and ‘What could we do better?’ The Bain research shows that verbatim comments relating to recommendation are mainly about basic needs and things about which they are dissatisfied. The inspiration question produces verbatim responses that are about their higher-level need and suggestions for a positive future. I consider the podcast to be essential listening. You can find it here. I have been in Los Angeles this week, attending the Bain Net Promoter Forum. I had to transit via Zurich, and got a pop-up survey request as soon as I logged into the Wifi in the Swiss lounge there. As I usually do, I tried to decide what I wanted to say before starting the survey. There were 34 questions in the survey, plus demographic questions. I could not really say what I wanted. It was clear that the survey is designed primarily to give scores to each of their own departments, rather than to find out what the customers want. I suppose I should write this one up in more detail. Why can’t companies just stick to a three-question NPS format or something similar? The Swiss people used the recommendation rating question, but did not follow it with ‘Why?’ and ‘What should we improve’ questions. I just can’t understand this sort of thing. Why would you need anything more? If people don’t make any comments or suggestions about the reception area, it just does not matter. Here are the latest posts. The most recent is the secondin a set of seven articles I am planning on the main customer experience measurement and improvement systems. Older posts are still available on the blog page. When you are asked to rate your ‘overall satisfaction’ with something, you have entered the Customer Satisfaction rating system. It is a metric, rather than a system, and different companies do it in different ways. As a metric, it is by far the most common one we see. Read on to learn about its advantages and disadvantages. There are quite a number of customer experience measurement and improvement systems in use around the world. They are not all equal. This post is the first in a series of seven articles about the main systems. While I have been pushing a scientific approach to building and implementing a customer experience strategy for a long time, let’s put that aside for a moment. After working on customer experience since 1981, here are some things I believe B2B customers want, and that you won’t discover directly from your customer research. Far be it from me to say that my way of thinking is the only one that matters. Rosaria Cirillo Louwman has designed an overall customer experience framework that includes six disciplines. This final blog in a series of six in the framework covers a set of interesting suggestions about how to establish a more customer-centric culture in your organization. Personally, I think culture is the hardest thing to change, because it requires so many soft skills and so much consistency. I think you will find it a useful read here. She has also recorded a TEDx talk that you can find on the Wownow site. Excellent article in which Brian Andrews of Medallia talks about his extensive experience leading NPS implementation over a long period. He led the first major NPS implementation, which was at Intuit in 2003, and is now ‘Senior CX Principal’ at Medallia. The points I like best in the article are about tying the NPS results to revenue. Customer Lifetime Value is the terminology I use for this. As Brian points out, it is useless to develop a model for this in isolation. Your CFO or her delegate must design the model with you. Once your company has an agreed model for how much one point of client retention is worth over time, it becomes far easier to decide on investments necessary to drive that improvement. You can find the article here. We have had our first sales of the new book of Peter’s drawings, so thank you for that. As always, Amazon reviews are the way you can help us most, so please do that, no matter what you think of our books.